We are essentially a group of amateur singers and welcome new singers in August and at our mid-term point in the New Year. Entry is by simple audition, but don’t be put off by this – we are always interested in welcoming new members, and auditioning helps us gauge vocal range and ability with singing scales and arpeggios. Some ability to read music is desirable. 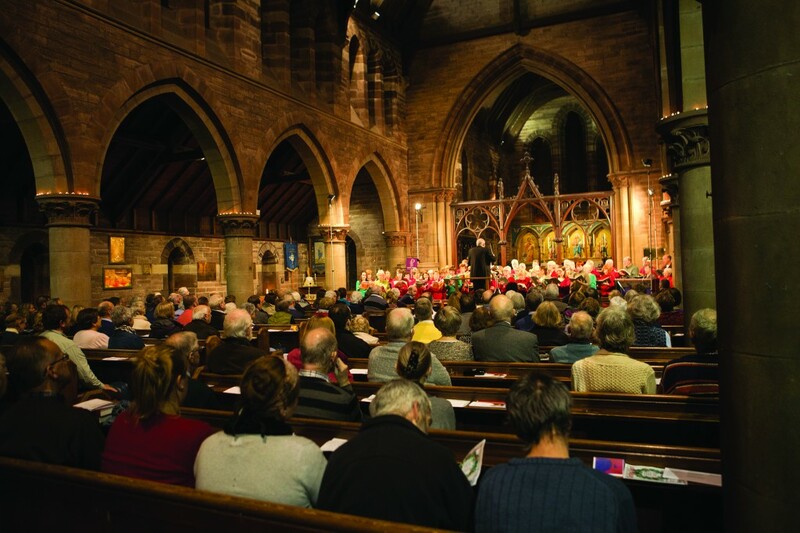 In common with many choirs, we are especially keen to hear from men – either tenor or bass – who might be interested in joining the choir and helping to keep a good balance between the sections. 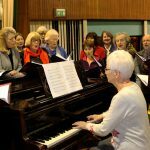 The singing season is from mid-August through to Easter, and rehearsals take place weekly on Monday evenings from 7.15pm to 9.15pm in Laurieknowe Primary School. The annual subscription fee is currently £88. Members of the Choral Society who have joined us recently have been happy to say that “it was great when we came into our first rehearsal – the music hit us like a fabulous wall of sound. Everyone has been so welcoming”.